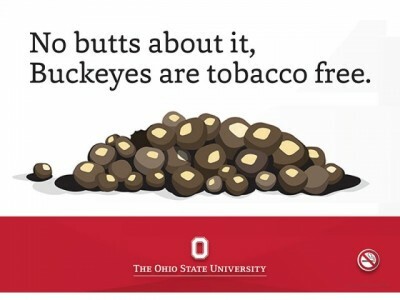 As you are likely aware, The Ohio State University has adopted a policy, effective Jan. 1, 2014, that is intended to create a tobacco-free environment. The policy prohibits the use of tobacco products in or on all university-owned, -operated or -leased property, including vehicles and outdoor areas. It is the intent of this university to create a culture that encourages compliance by promoting and supporting a healthy environment. As members of the university community, we each have a responsibility to help educate and inform others of the policy. The university has provided some communication tools, including a set of frequently asked questions that should be helpful. Many individuals in the university community have asked about enforcement and what should be done when we witness violations of the policy. Approaching someone to inform or educate about the tobacco free policy is a choice you may make, but it is in no way mandatory that you approach individuals who are violating the policy. The university will provide additional guidance on how to report “hot spots,” or those areas where people commonly use tobacco. As we near the implementation date of this policy, you are strongly encouraged to familiarize yourself with the policy, frequently asked questions, guide to implementation and other resources on the tobacco free website. As Ohio State strives to enhance the general health and wellbeing of its faculty, staff, students and visitors, this is one of many steps that are being taken.